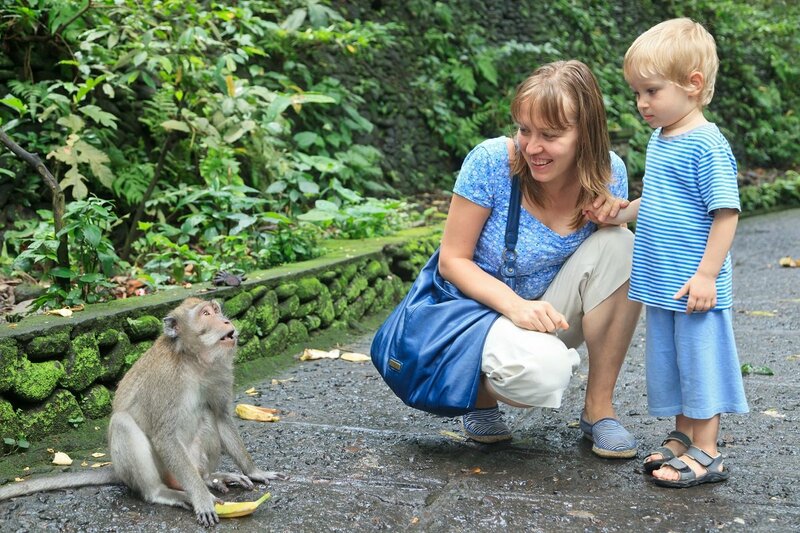 Bali with Children - Book a Child Friendly Family Holiday to Bali here! 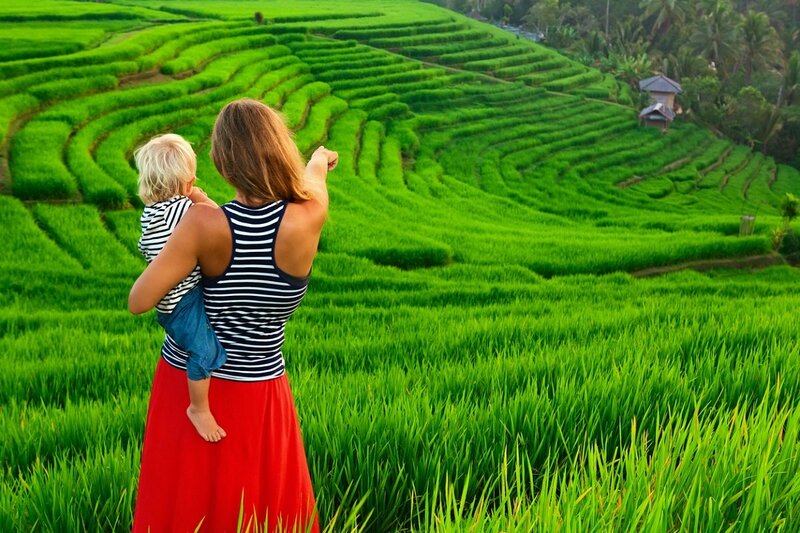 Bali is a cool place to go travel with children To the Balinese, to have children is to be rich, and children are met with smiles and open arms. 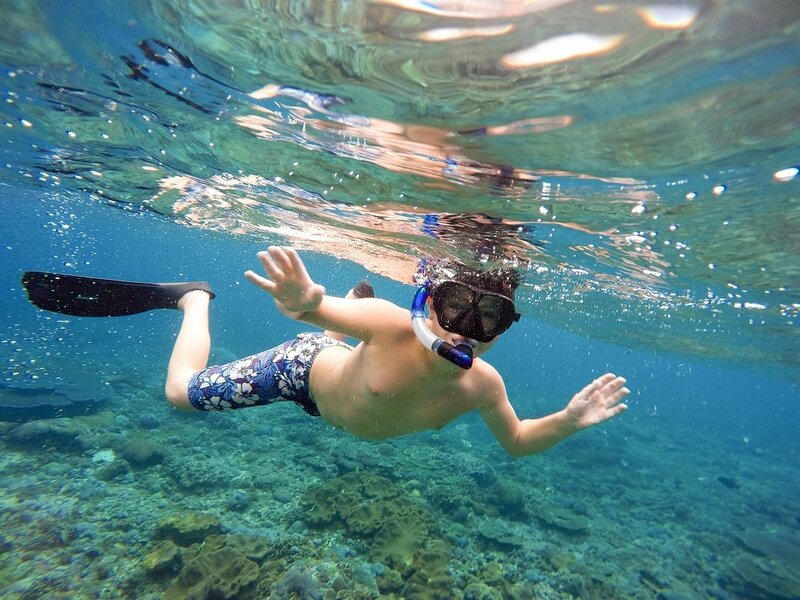 For this tour, hotels with special family rooms and children’s pools have been selected. Also important is that the excursions do not last 10-12 hours, making many days into half-day excursions instead. Beyond that, days at your own leisure have been added as well, allowing you to choose your own pace. 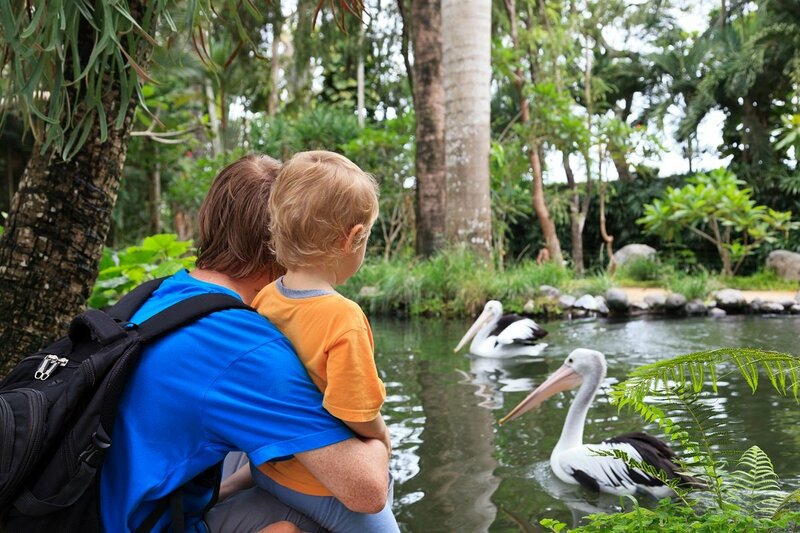 This means there’s also plenty of time to unwind at some great, family-friendly hotels. You spend many days at the first and last hotel, and only switch hotels 3 times, letting your children get to know each place. The nature is heavenly, with waterfalls, emerald green rice terraces, and lush, volcanic landscapes with mountains, lakes, and deep valleys. 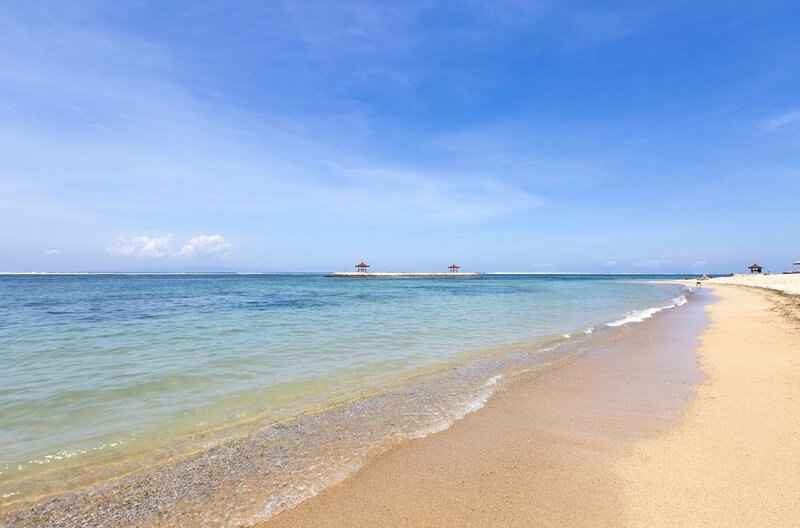 All of Bali is surrounded by a gorgeous blue ocean, offering delightful beaches and excellent diving spots. 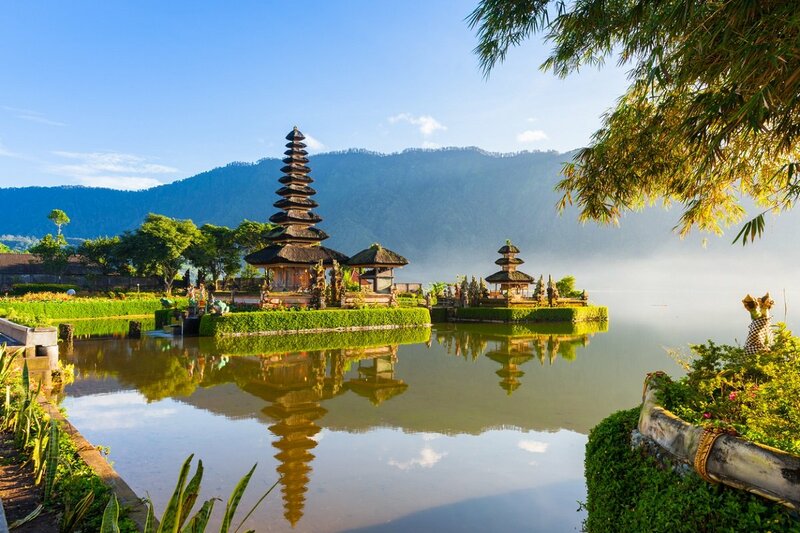 On this 15-day tour, you experience Bali’s charming artists’ town Ubud, its gorgeous temples, the active Batur volcano, the highest waterfall on the island, the dolphins in the north-western end, the painterly rice terraces at Pupuan and the beautiful beaches of Sanur – all at a pace that lets the children join in. Upon your arrival in the international airport Ngurah Rai in Denpasar, you will be issued with your visa before collecting your luggage. Your guide is waiting for you in the arrivals hall with an Asiatours sign, and you are driven to your hotel where you will spend the next four nights. When you get to the hotel, it’s time to relax after the journey and the rest of the day is at your leisure. Ubud is located in the highlands about an hour’s drive from the airport and the capital, Denpasar. 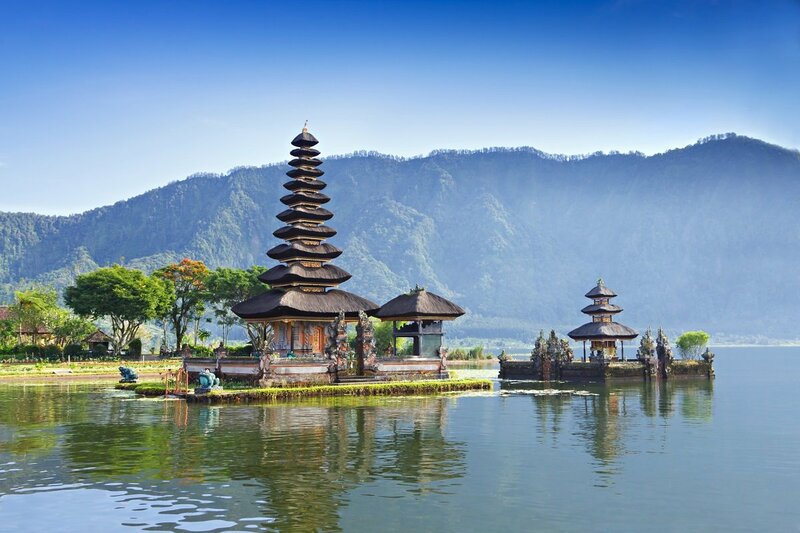 The city is considered Bali’s cultural powerhouse, where art and crafts are very much in focus. Ubud enjoys a scenic location in the lush, verdant mountains interspersed by deep valleys, which are almost canyon-like in some places. 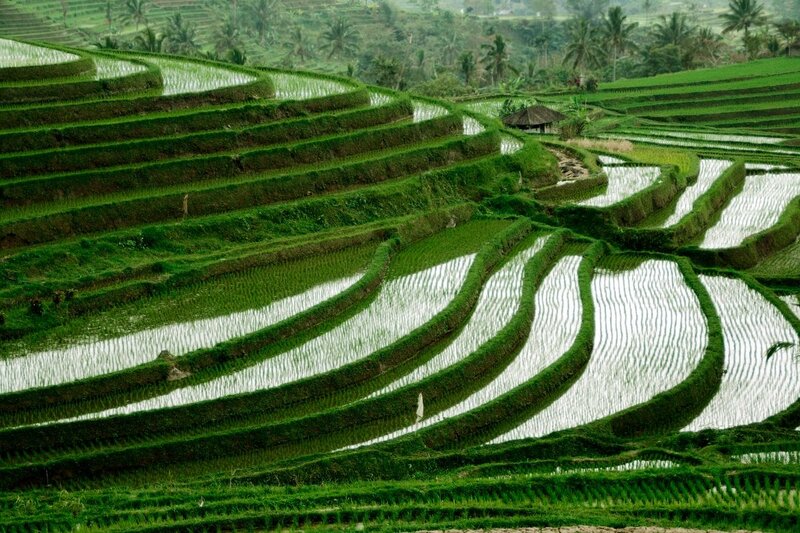 Behind the buildings, you will catch glimpses of the picturesque rice terraces. After breakfast and a morning spent at your leisure, you set off for experiences at midday. Today it’s all about the various handicrafts villages at the outskirts of Ubud. 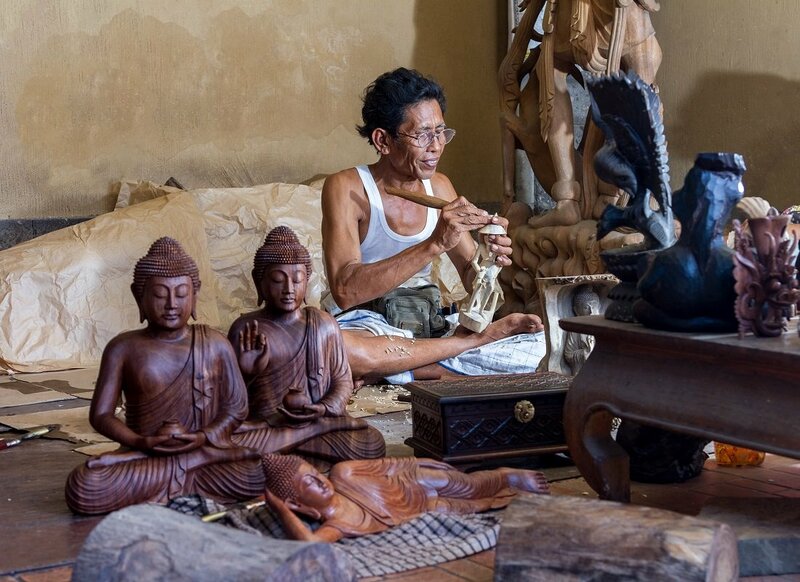 Each village has its speciality: In Mas you see wood carvers, in Batubalan there are stone carvers, and in Celuk, silversmiths ply their craft. 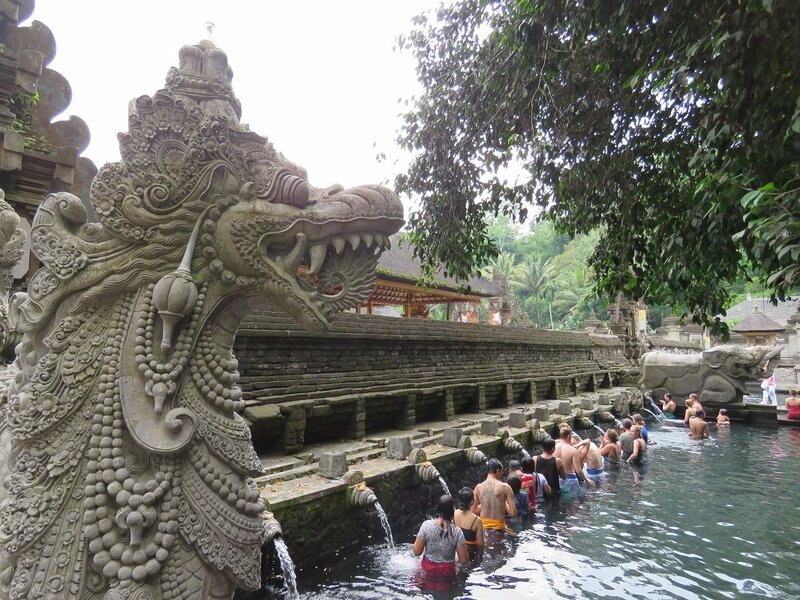 The day concludes at the Tirta Empul temple complex, which is particularly famous for its sacred waters, where the Balinese bring daily offerings to the gods. The temple is one of the biggest and most popular water temples in Indonesia. It was constructed in the year 926 and is dedicated to Vishnu, the Hindu god of water. 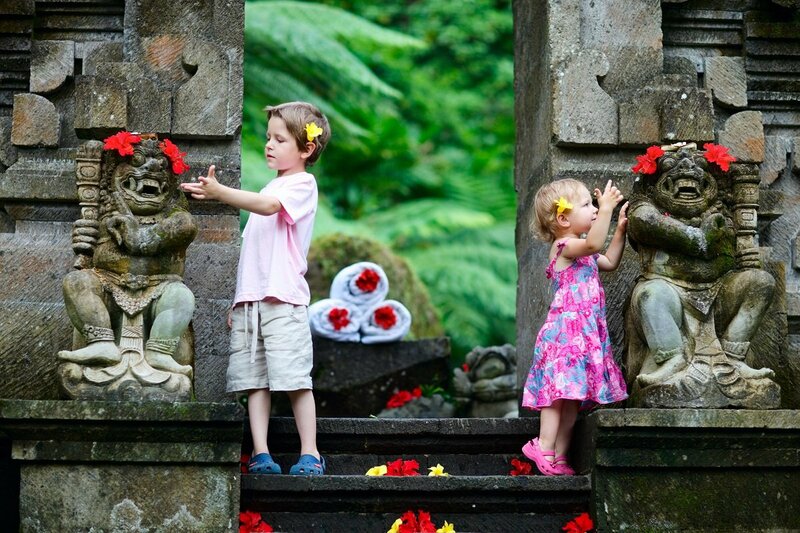 The day is at your leisure to explore and enjoy Ubud. 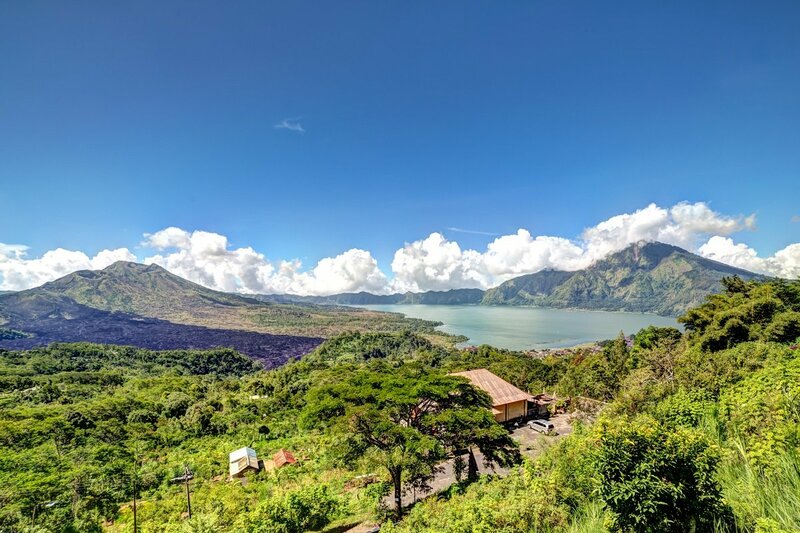 After breakfast, you go on to Kintamani, which boasts a spectacular panorama view of the active volcano Batur, whose last massive eruption occurred in 1963, as well as its crater lake. On the way back to Ubud there is a visit to the Bali Bird Park, home to no fewer than 1000 rare and tropical birds, such as the Bali myna. The children get a chance to interact with very large parrots. After breakfast you check out from the hotel. You are picked up by the guide/driver, and make the trip towards the northern coast of Bali. 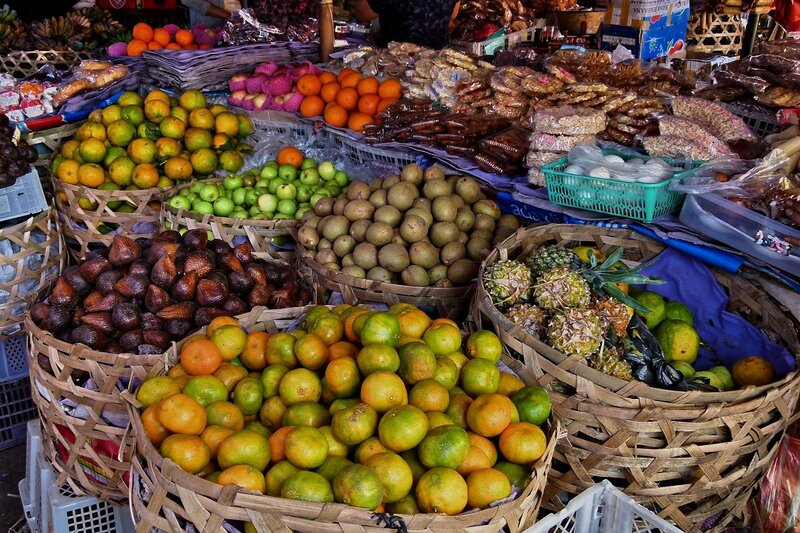 Along the way, you visit the local fruit and spice markets at Bedugul, where you can buy sweet fruits and a couple of great spices for your own kitchen. You continue on to the gorgeous Lake Bratan, which sits surrounded by mountains at 1200 metres above sea level. Due to the location of the lake, it may be cool and misty in the air, giving the lake a mysterious feel. Out in the lake is the famous and lovely Ulun Danu Temple. Once you reach Lovina, you make a stop at the highest waterfalls in Bali, the Gitgit waterfall, which is approx. 35 metres high. Lovina Beach is famous for its black lava sand, and many travel to Lovina in particular to experience the bay and its calm, clear water and excellent diving opportunities – and of course, the icing on the cake: dolphins. 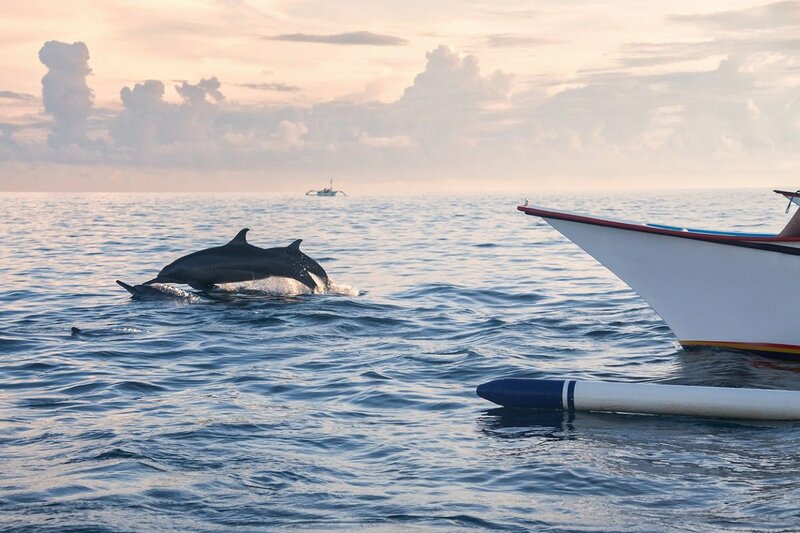 In the early morning hours, a dolphin safari awaits. This is an unforgettable experience. 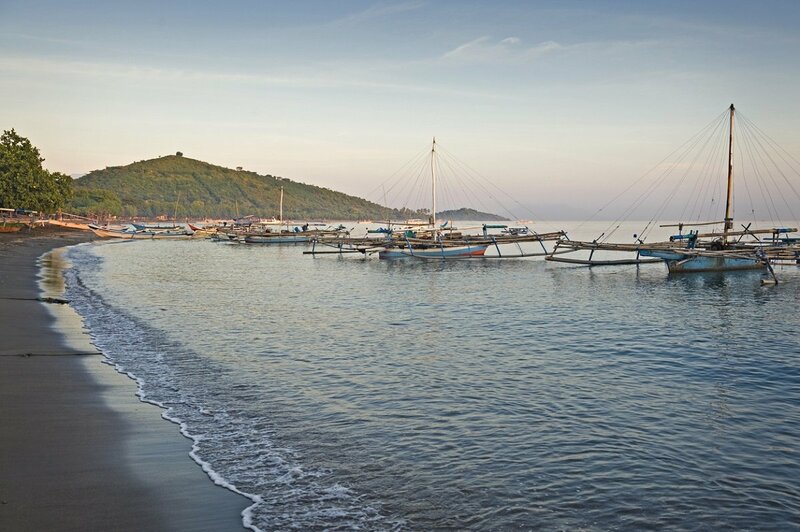 You are picked up at the hotel and driven to the Lovina bay, where in the early morning hours before sunrise, you sail out to a local outrigger fishing boat lying on the calm waters of bay. 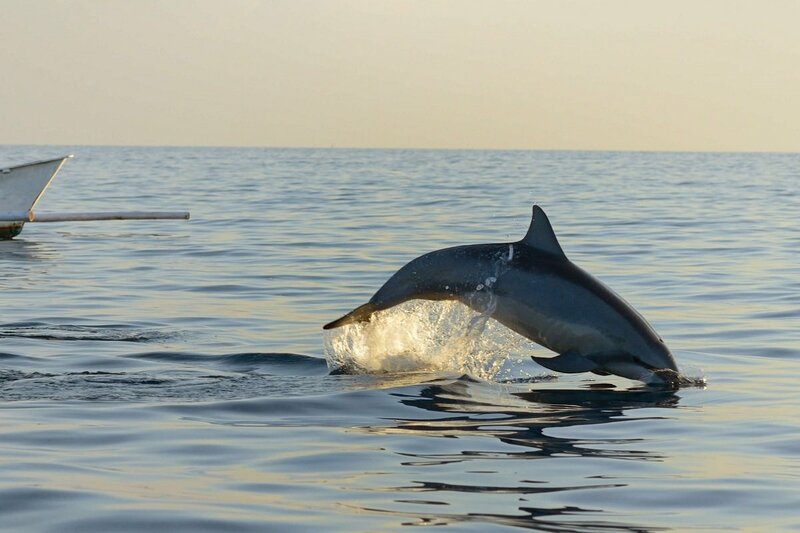 The dolphins are particularly active in the morning hours, when they are hungrily looking for food and playfully jumping around the water when the first few rays of sunlight cast a sheen through the water, revealing the deep blue hue of the ocean. 3 types of dolphins live in the Lovina bay, and they form pods in sizes from 10-12 to over a hundred. It makes a stunning sight to see them swim through the water at the speed of lightning, only to shoot out of the water in a mid-air somersault or corkscrew. OBS: The dolphins in the Lovina bay are wild animals, and there is no guarantee you will see them. After the dolphin safari, breakfast is served at the hotel, and you travel on to the north-western end of Bali. 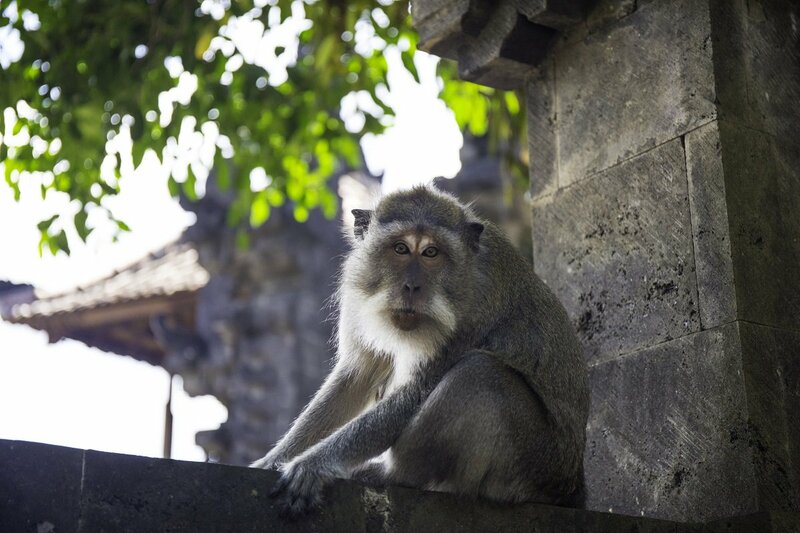 You drive along the coast of northern Bali, making a stop at the Pulaki monkey temple and its nice location by the sea. If you arrived at Pemuteran on a school day, the guide makes a stop at a local school, letting you see a local Balinese school and showing you first-hand the differences between a British and a Balinese school day. Once you reach the hotel, the rest of the day is at your leisure. After breakfast, it is time to bid farewell to this beautiful, untamed side of Bali. 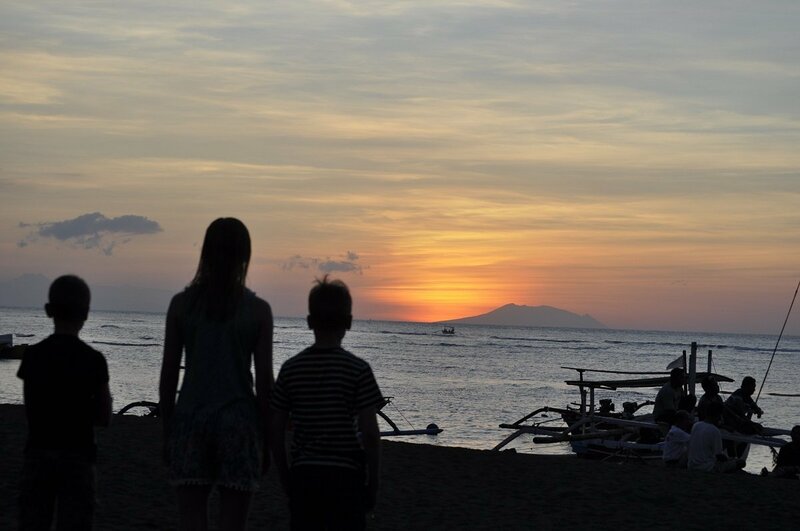 The trip back to south-eastern Bali and the beach at Sanur is long, but again it takes you on a rewarding and diverse journey through mountains and valleys, villages and countryside. One of the highlights is the trip to the delightful rice terraces of Pupuan. Afterwards, you stop at a butterfly park, and finally that afternoon you check in at the hotel in Sanur, where everyone can now take a dip in the pool. The days are spent at your leisure, and you can relax by the pool, enjoy the golden sandy beaches and bathe in the calm waters, take a stroll around the town, experience temple ceremonies, read a good book in the shade of the palm trees. Yes, your options are many. 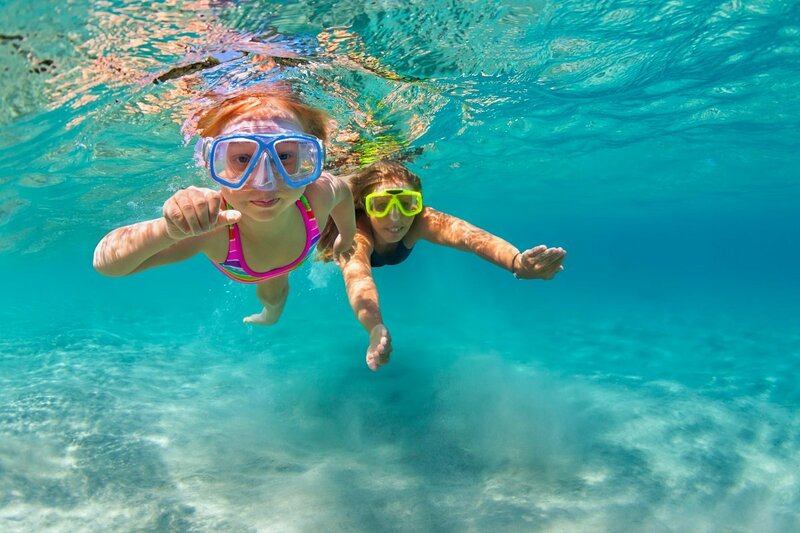 If you and your children wish for something more than the hotel pool, entrance tickets are included for the “Waterbom” water park in Kuta, which has won awards for being the best water park in Asia and the 5th best in the world. To make use of the entrance tickets, you must contact the guide who will issue your tickets. The guide needs to know 24 hours before, as the tickets must be marked with a date and name. Note that transport, guide, food and drinks are not included for this excursion. 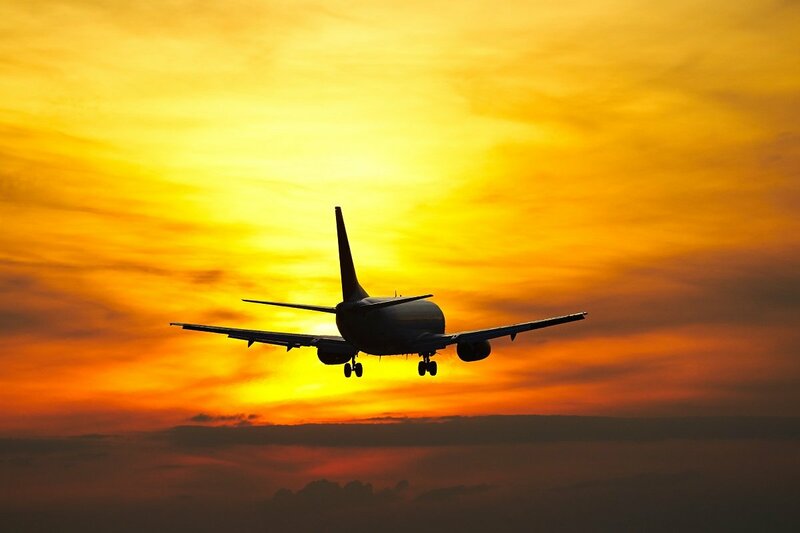 You are picked up at the hotel and driven to the airport in Denpasar, where your journey home starts. 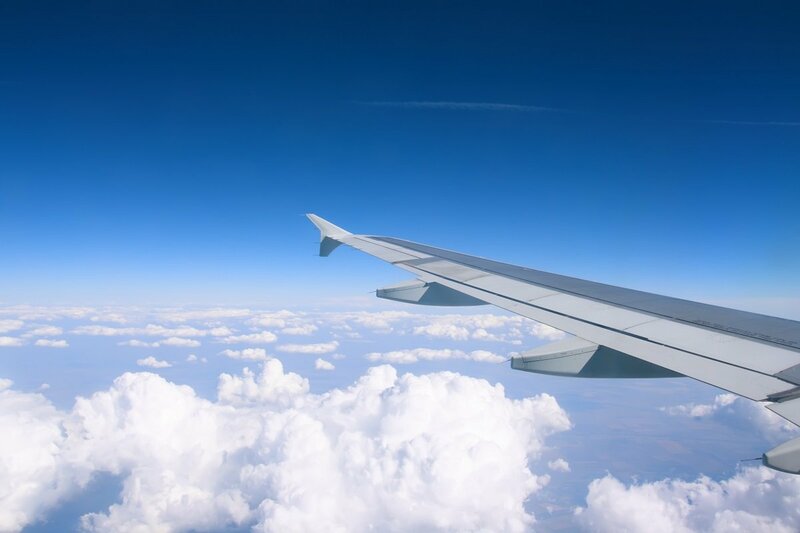 You land in the UK after a lovely and exciting holiday.